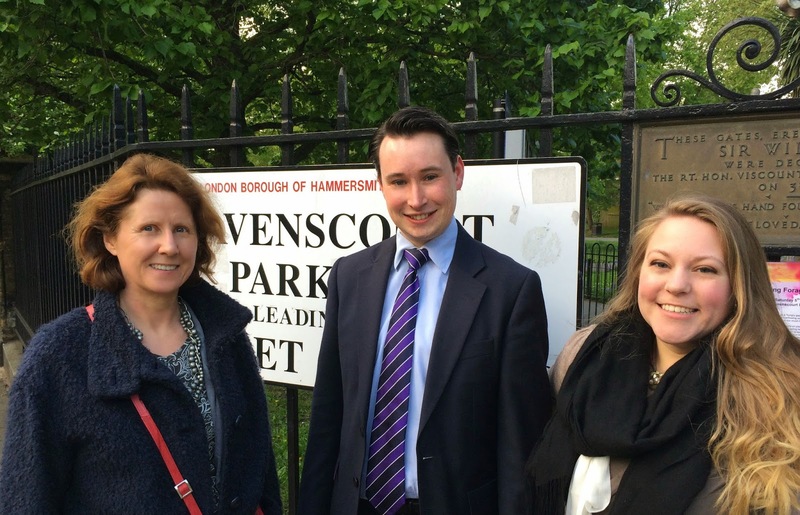 Here are some details about H&F Labour's candidates for Ravenscourt Park. You can find your polling station by putting your post code into this link. Jasmine has lived and worked in Ravenscourt Ward for 30 years. She ran her own music management company for 20 years and now works in arts administration for a local theatrical agency. She is married with two children. Jasmine has been an active member of her local residents’ association and other amenity groups for many years, successfully campaigning on conservation, heritage, development and planning issues. For the last two years, Jasmine has campaigned with Save Our Hospitals against the downgrading of local hospital services. This inspired her to stand as a Labour council candidate. Rowan has lived in Ravenscourt Park since moving to London as a student, initially in Verbena Gardens and now in King Street. He is a governor at Wendell Park Primary School. An economics graduate and postgraduate, Rowan works as an adviser to the Confederation of British Industry (CBI). A regular in the Cross Keys pub on Black Lion Lane, he enjoys walking along the banks of the river and visiting the ward’s excellent restaurants and cafés. Alexandra lives along King Street near Ravenscourt Park, where she likes to feed the ducks. She is a governor at Flora Gardens primary school and has been active in the residents-led Save Our Hospitals campaign. After studying Archaeology at Durham University, Alex volunteered in locations from Lourdes to her native Bristol, working with children, the homeless and the elderly. She is now senior manager at a charity that works to promote good money management. Goldhawk Rd. Friends of Residents Assc. G.R.A. Against planning permission which has already been granted in all but name through a special dispensation (gentleman’s agreement) for current and future extension to rear of annex next to 354 goldhawk road, potentially resulting in nearby properties falling in value. This means a cluster of Housing schemes becomes commercially affordable in the local area for lookahead and cyrenian housing properties division. Having a proprietary interest on property in the area where both social landlord groups can work together on a duality in bidding for both tenancy management and management of residents deemed to be in need in various schemes where the outcome of past bids has that meant each Housing group has merely swapped service contracts that has to an extent put into place a local monopoly or cartel that is possibly illegal. The reason for this is there is room for commercially underhanded tactics that are well known about such as an ability at some point to buy cheap to sell high later on a property investment portfolio. The true market value on local properties is not what ordinary mortgage holders initially expected since it can be heavily influenced if not controlled by the self interests of a Group having the choice of when and where to sell at optimum market value. For example local houses nearby are already in negative equity or in danger of been put in negative equity with the owner’s for up sale signs unintentionally making the situation worse while vulnerable adults living within these housing schemes are been exploited. The police looking at these schemes have already investigated shared enterprise where staff enough oddly point the finger at those residents with learning difficulties where sadistic abuse is the norm who tend to be bullied by other residents some of whom wear ankle tags (maintenance of which is contracted out to companies named Serco or Circle) in schemes solely for vulnerable clients where no adults are supposed to be placed near those with a history of violence or criminality as the placement of such dangerous adults in a residential areas is at times in violation of planning permission originally granted. Although known to be true these assertions seem unlikely to be proven but this is not the case. What is known to some may be hard to prove but this is not the same as what can be proven. This can possibly be done through questioning John Hunt a Look ahead portfolio manager their H.Q. located at 1 Derry St, High street Kensington where upon if he blabs we have them and if he blaggs his way out then this avoidance behavior can be noted and may very well mean we have them. With enough effort bringing those to book should not be a problem as there has been managerial boasting in these Hamlets of corruption that only the little folk pay taxes as you can buy nearly anything you want on an allocated charity number.